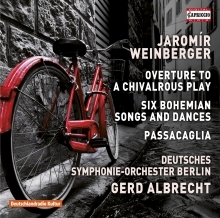 Even it is a legend that the Prague-born composer Jaromir Weinberger committed suicide in American exile because he had not succeeded for decades in following up his opera Schwanda the Bagpiper with any of his later works. Nevertheless, the legend contains a grain of truth. It shows a 71-year-old composer far away from his beloved homeland, which he had had to leave in the course of its occupation by the Nazis and which was meanwhile ruled by the Communists under Soviet influence. 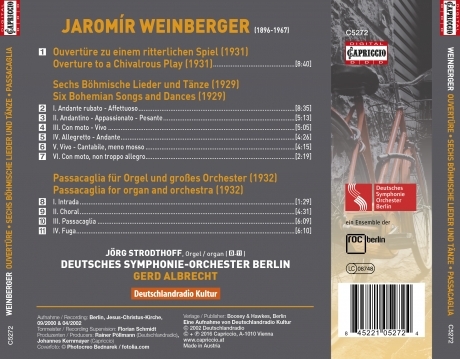 But in general, Weinberger was just as little able to integrate in North American music life as he managed to draw on his earlier time in Europe after 1945. A consideration of many works by Weinberger today will have to take events of the time into account, but at the same time we will hardly be able to avoid seeing direct or indirect references to his one big success Schwanda the Bagpiper in many works.